Clinger Holsters, https://clingerholsters.com/, has just released their new clip-less holster named the “Comfort Cling.” It sells for $19.99 and comes with a money-back guarantee if you don't like it. That's right, if you just don't like it you can send it back for a full refund within two weeks, no questions asked. You will like it, though. The initial release is the S91 which fits a wide variety of single stack concealed-carry pistols listed on the Clingerholsters.com website. I tried it with two such 9mm pistols I use regularly: the Remington R51 and the Walther PPS M2. 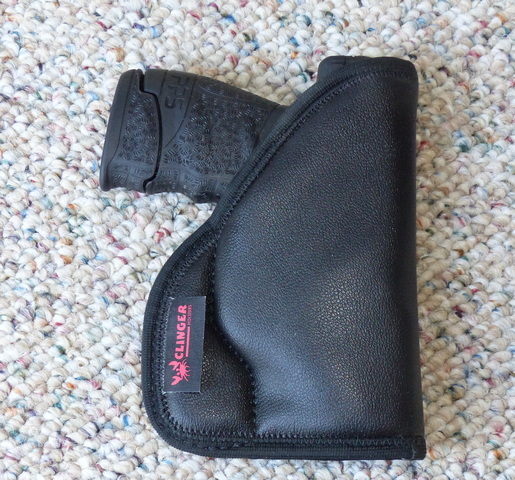 It works extremely well, as the outside of the holster is grippy and clingy, but the inside is smooth for an easy draw. How you carry is up to you, of course, but for me this holster works best at the small of the back and it is extremely comfortable. The only pistol that I didn't like using it with was an old Makarov .380 that has snaggy elevated rear iron sights. For popular models like the Smith & Wesson M&P Shield 9mm, the Ruger LC9, or the Sig 230/232 series most will find this holster ideal: easy to use, comfortable to use, and very quick to insert where you wish. 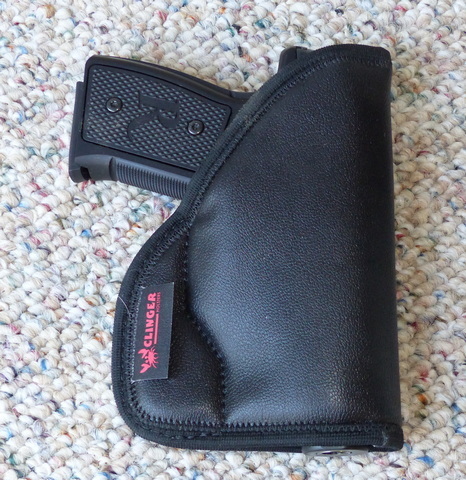 High recommended for anyone that wants an excellent no-clip style of holster for inside the waistband or pocket use.